School is out, the sun is bright, and summer is officially here! There is never a shortage of fun things to do in San Marcos, Texas. You can choose from a wide variety of relaxing indoor activities or outdoor adventures. 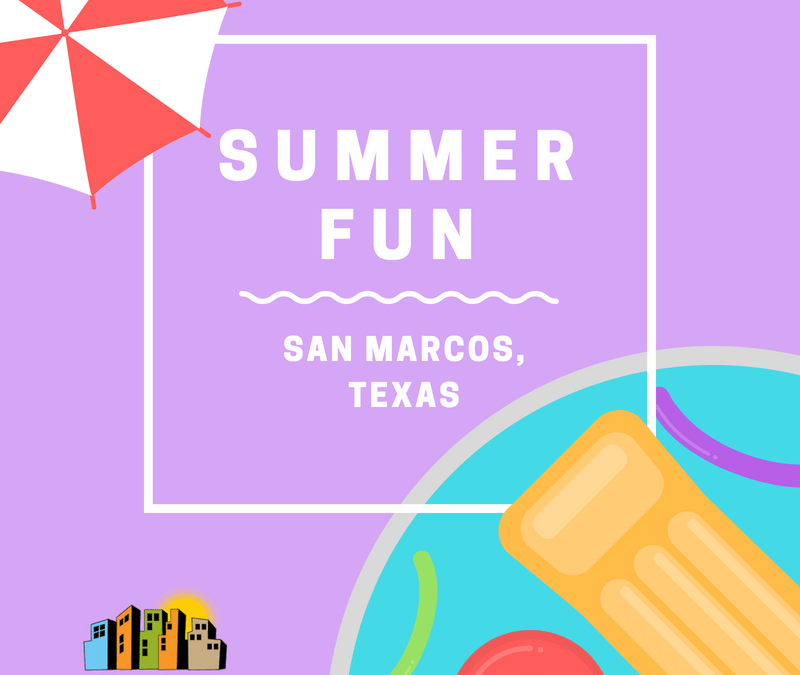 Here is our list of fun summer events in San Marcos! Enjoy these beautiful summer evenings with a family friendly outdoor movie. This free summer event is a favorite tradition of San Marcos residents. Bring a lawn chair or picnic blanket and come visit the San Marcos Plaza Park every Tuesday starting June 5th. Pre-movie activities begin at 7:45. Movie screening begins at 8:45. Support your local artists, farmers, and crafters. Join the community every Saturday morning for the San Marcos Farmer’s Market from 9-1 in Downtown San Marcos. Street vendors offering homemade foods, artwork, body products, and crafts. Once you’ve shopped until you drop, stop by one of the fabulous restaurants open for lunch & brunch around the square to refuel! Can’t have a summer in San Marcos without visiting the river! There are many floating options in San Marcos. Several different tubing outfitters provide services along the river. The Lions Club of San Marcos is a popular choice among locals and visitors. The float begins in the San Marcos City Park and concludes in Rio Vista Park. Visitors can see the beauty and heart of the San Marcos River from the comfort of their tube! In conclusion, there are so many great reasons to live in San Marcos, and so many great apartments to choose from. If you are considering moving to the San Marcos area, or if you are currently living in the area and looking for a new rental, contact Apartment Experts for your real estate needs. Our free apartment locators have access to an extensive database with rental properties across the Central Texas area.